The holidays can be the busiest time of the year. After all, it is when most people allot time, effort, and resources in reconnecting with their friends, families, and loved ones. Parties are here and there—whether it is held at offices, or even at home. People are not the only ones in need of new coats during the cold season, your house too. Spruce up your walls and entryway with a fresh coat of exterior paint all the way through the front door. While you’re at it, repaint the trim if it’s starting to look weathered as well. Nobody likes a messy front yard. Make a good first impression by clearing your porch, deck, and yard. Keep all machines, toys, and other litter that can make your home’s façade look like a complete chaos. Moreover, sweep leaves and other debris away from the entrance. Trim trees and landscape the bushes just enough to make it clean and pleasant looking. 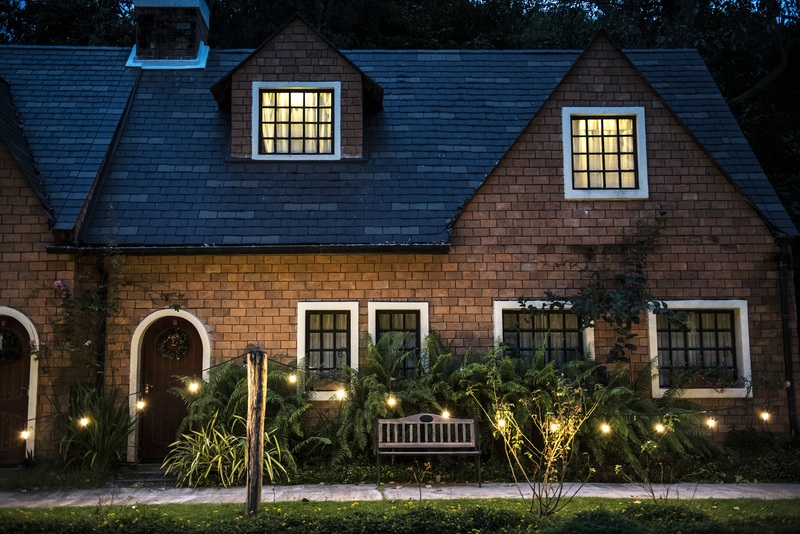 Provide ample lighting at the exterior of your house. This is not only to give your home a jollier and festive ambiance, it will also help keep the safety of your guests and friends. Make sure your outdoor lights work and de-ice the path to your door if necessary to reduce the chance of slips, falls, and other accidents that might result to a disaster. While you’re at it, why not install motion-activated night lights in hallways and pathways to ensure safe passage after dark? Of course you can’t prepare your home for the holidays without putting up a few decorations here and there. But you have to be extra careful. Without proper supplies and planning, you can easily puncture gutters, soffit, and even siding. While it may look simple and harmless, these damages can potentially become severe over time, leading to unexpected replacement costs, increased energy bills, and even water damage from faulty gutters. To make sure you can prepare your home for the festivities without creating leeway for structural damage, why not ditch the nails and keep your staple gun away from your walls this year and just go for heavy duty and reliable hooks. If you need something that will keep your Christmas lights, wreaths, and other decorations hanging in place, buy some removable hooks that can carry the weight of it. You can also utilize zip ties to hang garlands, lights, and other Christmas decorations for your walls or your doors, or tracing the outlines of your windows. And with a simple pull and remove them after the first of the year with a quick cut from scissors. While you’re preparing your home for holiday guests, you may notice damage along the way. You are likely never as up close and personal with your home’s siding, gutters, soffit, and fascia as you are during your holiday light decoration process. Maybe you’d spot holes on the gutter, or protruding sidings. This is also a nice time to call your home exterior contractor and have it inspected and repaired before it becomes a much bigger problem, making you spend more.